Vintage and industrial styling coalesce in the functional, yet elegant frame of the Bramlett fixtures. Metal reflector style shades are complemented by contrasting metallic fittings. Fixtures from this collection pair well with either vintage style or traditional bulbs to create a fun focal point in your home. A delightful trend in home dicor is the repurposing of antique parts into new, functional furniture and accessories. Calhoun playfully follows this lead with an apothecary style and features a clear glass diffuser held in place with a mechanical latch from a spice container. The glass shade showcases a thickened profile to create a vintage-style surface for a classic handmade appearance. Invite Collection 3-Light Brushed Nickel Bath Light Invite provides a welcoming silhouette with a unique shade comprised of an inner glass globe encircled by a translucent sheer mylar shade. The rich, layering effect creates a dreamy look that is both elegant and modern. Offered as a complete collection, the Invite styling can be carried throughout your home or as a focal style in a special room. 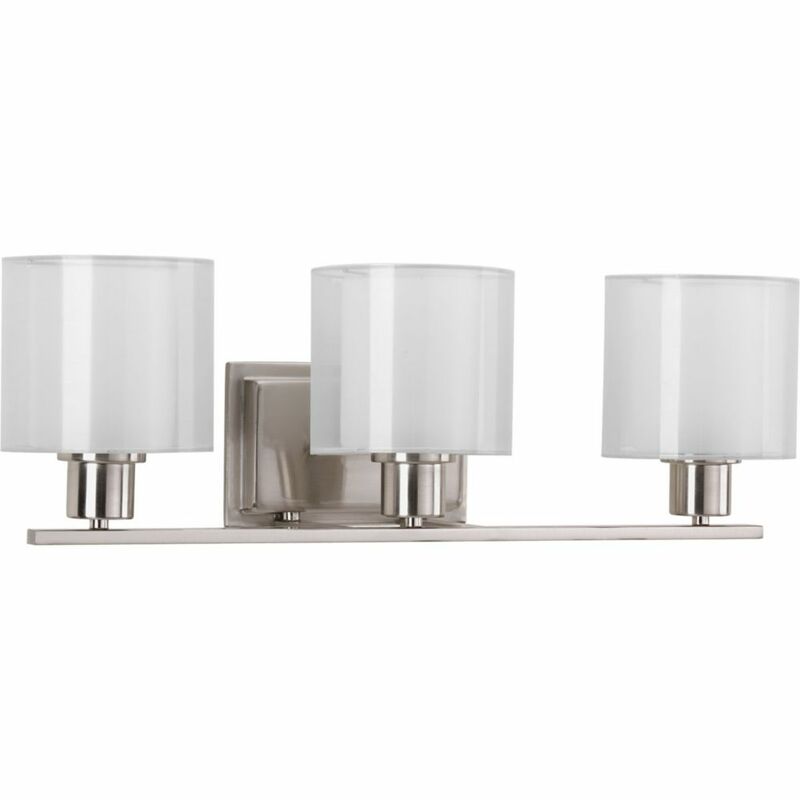 Invite Collection 3-Light Brushed Nickel Bath Light is rated 4.0 out of 5 by 3.